Brief Synopsis – A down on his luck man must care for his teenage nephew when his brother unexpectedly passes away. If you have never seen this movie, I urge you to stop reading this post, read my two original non-spoiler reviews (linked Here and Here), watch the movie and finally after you’ve seen it, absorbed it and even cried a bit (I did all 3 times that I’ve watched it) then come back here for a review and analysis full of spoilers. This film spoke to me louder than many other films that I’ve seen over the years (and I’ve seen a bit). I believe that Kenneth Lonergan is a genius in the way that he constructed this film’s story and his final presentation of it because it says so much about how one can tell such a tragic story by allowing us to compare and contrast the main character’s life before and after the tragic event(s) of his life. 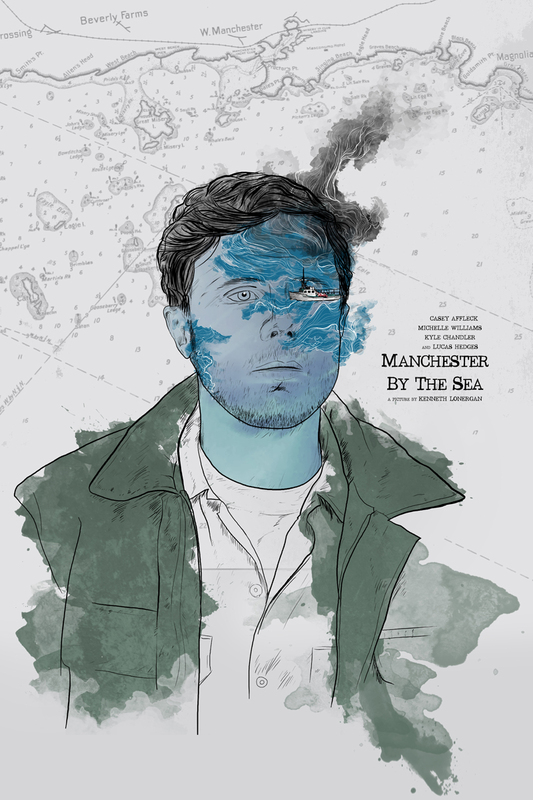 Casey Affleck does an amazing job in the lead role of Lee and is able to play both the happy go lucky guy before the tragedy and the depressed one who is trying to find a way to hold on to life after he no longer feels like a worthy human being. I love the way that the film opens up with the boat ride that takes place years before the events of the film because it allows us to see what kind of relationship Lee has with his brother and son and how things have changed so much every since. Once the tragedy occurs that he accidentally causes the death of his three kids and is estranged from his wife, he just can’t get his life together and his sole anchor through this time is his brother Joe who watches over him so that he doesn’t harm himself and helps him try and feel like a normal person even when living in a small one room apartment. The fact that Joe forces Lee to go with him to get furniture is a subtle way of showing us that even following tragic events in our lives, we must try and find a way to rebuild things and continue on despite the pain and hurt inside. Even in death, Joe reaches out to try and help Lee by giving him purpose in life and plans things in a way that Lee can once again be a father (to Patrick) and return to his home town. Yes, Joe doesn’t realize how difficult it would be for Lee to return to Manchester because anywhere he looks, he is reminded of what he accidentally caused years earlier. We see Lee drive past or even visit some of the landmarks that will always remind him of that fateful night and its aftermath which this helps show once again how difficult it is for him to remain in Manchester despite wanted to take over his new responsibility for Patrick while also trying to find a way to keep Patrick happy by staying in Manchester. Loved the way that we see the contrast between Lee and his wife Randi. He is filled with guilt over the incident and she has somehow found a way to move forward and start her life again. It shows that some people can find a way to move on while others get stuck in a rut and choose to stay away from other people for fear of hurting them or themselves. This is not a “happy” story per se, but it is such a realistic portrayal of how one’s past can affect the present even when you have responsibilities to take care of. Casey Affleck was perfect in the role of Lee as was Kyle Chandler as his brother Joe. The brotherly love between them is constantly there and we see that life has not been easy on either of them, but they both somehow manage despite it all. I’m not sure how many other actors would have been able to pull off such a role as Affleck was able here and he really was deserving of winning an Oscar for Best Actor for this role. I am constantly reminded of how honest Lee is here even to himself when he tries so hard to overcome his past, yet knows that it will never happen if he stays in Manchester. Lonergan won a Best Screenplay Oscar and he too was quite deserving because it is such a difficult subject to write about and more importantly make us feel the realism of a story that brings us characters who seem so genuine. 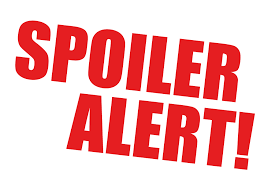 The story is structured so well because we don’t find out until almost half way through the movie what caused Lee to act like he does and the fact that we slowly learn about all of the events leading up to the present day helps give us a stronger connection to Lee. I loved how in many scenes conveying intimate moments between characters, the camera zooms out and gives them there space and eventhough we don’t hear every word of what they are saying, we understand why the camera has “taken a step back”. I’m not sure if that was deliberate or not, but it helped make things also feel even more realistic because never in life are we all privy to hear everything going on. This film easily manages to convey those strong feelings to the audience. Many people have wondered how I could choose this as my favorite film of 2016 and how I was so adamant that it had the potential to be crowned Best Picture last year despite its somber and depressing storyline and the answer is quite simply because it made me feel as if I was watching a real story instead of a made up one. This is a heartbreaking story yet it is peppered with rays of hope which to me is another reason why this film remains so high on my list of Top Ten films from 2016 and won’t be dethroned so quickly.